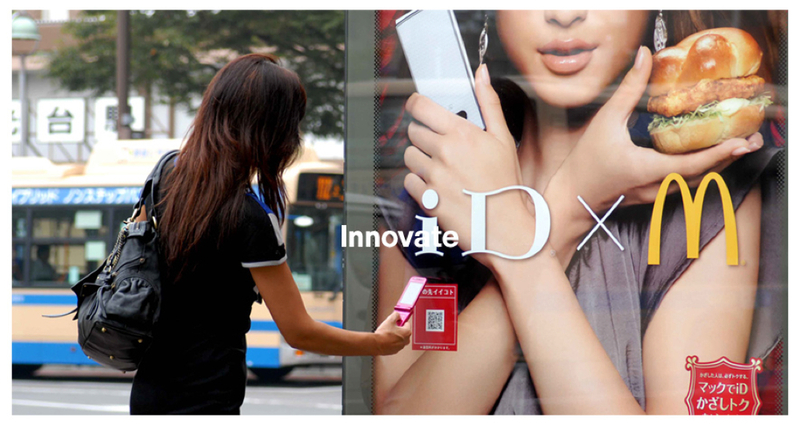 Surprising users by providing useful and innovative services across the globe is the daily challenge of the JCDecaux Group. How does the company adapt its street furniture, based on one unique model, to the specificities of diverse places and events? In the future, what services will accompany us in our daily lives? To answer these questions the Urban Design Observatory interviewed the Co-Managing Director of JCDecaux, Jean Charles Decaux. Jean-Charles Decaux, JCDecaux is a truly international company that exports its savoir-faire to more than 55 countries from Europe to Kazakhstan, Qatar to India, South Korea to Brazil. How do you adapt one offering to different cultures and places? Our offering is based on our unique economic model that can be adapted to any context or country according to the needs of its cities, transport authorities and partners. Our projects range from Abribus bus stops in Japan integrating perfectly into the local culture to a self-service bike scheme in Russia’s Kazan, newspaper stands in San Francisco and digital clocks in Sao Paulo. Whatever the geographical or cultural differences, all cities have some shared expectations, for example, in terms of shelter, transport and information. We try to meet these needs in different transport spaces using financing from publicity. Which countries or cities required the most imagination to adapt your street furniture? Each city and country requires an innovative and creative approach. The advertising clocks in Sao Paulo, the large digital screens on the outskirts of Chicago and the digital furniture in the Paris airports are all good examples of our company’s ability to successfully integrate new concepts. You refer to cities as ‘exceptional meeting places’. Which values are trying to emphasise in this statement? Today, cities bring together more than half of world’s population. They are at the heart of countries’ economic and political activity and, since ancient times, have been a melting pot of social and cultural change. New innovations are often born in cities, as has been illustrated through the centuries and across continents. Today, cities are of high strategic importance. We therefore need to provide products and services that correspond to users’ real needs while respecting public spaces and constantly optimising sustainable approaches. Urban spaces are by definition meeting places. This is why JCDecaux develops often unprecedented communication tools for brands. In cities, they can reach out their customers and establish a genuine dialogue. For the experimental Intelligent Street Furniture Project JCDecaux set up six innovative concepts in Paris for more than a year. What did you learn from this experiment? We developed six innovations to help discover, work and play in the city using both street furniture and digital technology. New technologies are the link between all these projects, or rather, more specifically, the use of touch and traditional screens to provide access to different information and services. We found that people welcome these innovations enthusiastically and were very interested by tactile interfaces in public spaces. For example, the relaxation space at the Champs-Elysées roundabout, called the Digital Stop, provided seats, sockets, Wi-Fi and a sheltered area with a planted roof. Installed in the Square du Temple near historic chess boards, Play was a collection of tactile digital game boards. The increasingly widespread use of smartphones makes these screens a very relevant idea – more than 70% of the users we questioned owned one. In Chicago, you recently created lots of hype around the last concert in the Pearl Jam tour using very original posters. Users had to peel off stickers in the Abribus bus stops to unveil information about the concert. Do you think this kind of fun interaction has lots of potential in the future? Brands have unrivalled scope to express themselves in cities and transport spaces. City dwellers everywhere are receptive to brands that surprise them and let them live, even momentarily, unprecedented experiences often in a spirit of sharing and generosity. 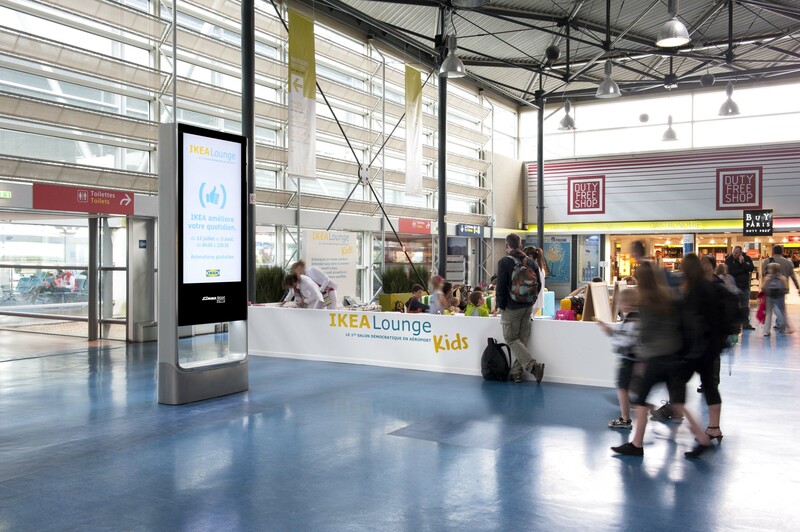 JCDecaux Innovate, present in nearly 40 countries, is a partner for brands to develop creative and often fun events, which establish a close relationship and a genuine exchange with their audience. As these creative and innovative communication methods often involve user participation in the physical world, they are frequently shared via social media. Experiencing an event or being part of something ephemeral is a unique moment that people want to share. For example, when Ikea created comfortable areas with sofas in 20 Parisian Abribus many users posted photos of themselves at these bus stops on Facebook. Waiting spaces have evolved to become more convivial and comfortable. What services do you think will be developed next? Will they be automated or will they still require human involvement, for example, someone to manage a food corner? With or without human involvement, services that are useful in inhabitants’ daily lives will continue to be developed in the future, as will services offering added comfort. Existing examples include sponsored lounges in airports, measures to let people share their views in London stations such as projecting book recommendations via Twitter on to giant screens and the Scrabble challenge on Twitter via a giant screen still in use in London stations. For practical services, user comfort is often linked to the quality of information provided about travel. Yet, as we noticed during the Intelligent Street Furniture Project in Paris, people also want to be given additional information and services in public spaces. ‘Humanised’ services are also interesting if they add something extra to existing services. Creating food areas must make sense in their chosen location, as is shown by the success of food trucks in France. The most important thing is to develop high quality services that add value in the eyes of the public. The quality of spaces is also linked to the lighting. Have you done research into light therapy? This is a subject that we’ve investigated from time to time for specific brands, for example in Iceland or recently in Estonia. For us, lighting has two main functions. The quality and design allow us to enhance street furniture, while also providing users with a feeling of security. Essential elements designed for comfort help create a specific atmosphere, for example the illuminated ellipses encircling the Parisian Vélib stops. Furthermore, we constantly work to improve the relationship between quality, efficiency and energy-saving. We have reduced energy consumption by 30% for some furniture largely thanks to new technology. One of our promises is to provide furniture and services that respect the environment. What importance to you give to aesthetics in your projects? It is very important. Street furniture, like the Abribus or automatic toilets, needs to give the impression of immediate comfort and aesthetic appeal. It is the role of design and is essential from the planning stage of every project. 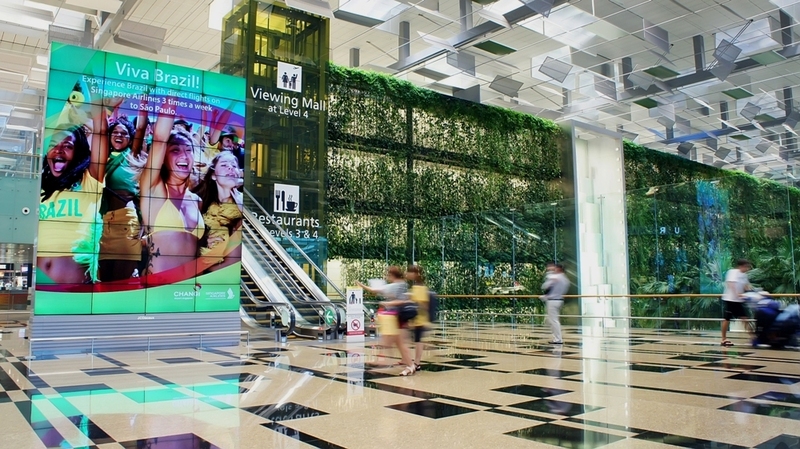 JCDecaux has a long history of working with designers and architects. More than 50 key figures from the world of design have worked with us to make cities across the world more beautiful and accessible. 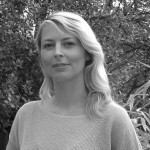 Another of your projects involves self-service bicycle schemes. In which cities have you been most successful? To date, we’ve set up our self-service bike schemes in 13 countries using 29 different systems in nearly 60 countries. In all of the cities, from the north to the south of Europe, from Australia to Japan, the bikes are appreciated by their users whether on a large scale like the Vélib in Paris (23,000 bikes) or a more modest one like in Kazan (260 bikes). Everyday our bikes travel around the world. In Paris, the Vélib is used between 100,000 and 140,000 times a day. The bikes are also heavily used in the Spanish cities of Valencia and Seville as well as in Dublin. In conclusion, you work to humanise cities across the world. Which projects are you most proud of? It is always difficult to place such diverse projects in a hierarchical order. However, the most emblematic would have to be the Vélib in Paris for its incredible success and the self-cleaning toilets, which blend perfectly into the landscape. I would also mention the Abribus in Japan, particularly in Kyoto, given the long struggle to change the law in order to get our design authorised. The Parisian airports represent a perfectly executed model of digital transformation, the digital clocks in Sao Paulo mark the return of advertising to this Brazilian city and the digital screens in Chicago are the first wide scale implantation of digital screens in public spaces in the United States.